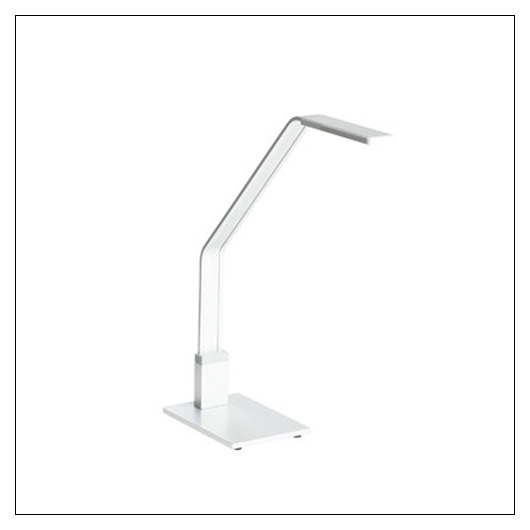 Steelcase SOTO Freestanding LED Task Light (SCSOTO) at Pure Design / Tables and Desks / Desktop Accessories ::: Furniture for the Home, Office, Home Office, and More at Pure Design Online! Out of the way, yet always where you need it, the SOTO LED Task Light is the perfect companion for just about any sized work area. Its sleek design and simple lines make a wonderfully quiet and yet bright statement in any work environment. Please allow roughly 3 weeks for your order to ship. This item can only be shipped to street addresses in the contiguous 48 United States.